Found a Chimney Swift That is Hurt? Why Care About Chimney Swifts? Chimney swifts have slender bodies, very long, narrow, curved wings and short, tapered tails. They fly rapidly, with nearly constant wing beats, often twisting from side to side and banking erratically. They often give a distinctive, high-pitched chattering call while they are in flight, said Bill Mueller of the Western Great Lakes Bird and Bat Observatory, Belgium, WI, and an advisor to the working group. 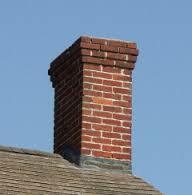 Look for tall brick chimneys that are uncapped. Watch to see where swifts are feeding and congregating. Pick one or more nights from early August in northern Wisconsin through mid- to late September in southern Wisconsin. Observe the roost starting about 30 minutes before sunset until 10 minutes after the last swift enters the chimney. Count (or estimate) the number of swifts as they enter the chimney. It’s useful to count in groups of five or 10 birds at a time when many birds pour into the chimney in a short period of time. Submit your data using one of two quick and easy ways. Enter the data on eBird.org. Go to the ebird-quick-start-guide for instructions. When eBird.org prompts for the location, map your roost site to an exact address or chimney. 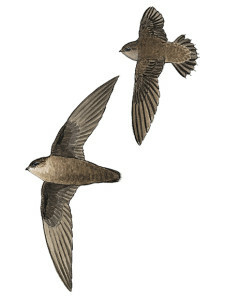 In the species comments section include general weather conditions, time when the first and last swifts entered the roost and type of building — residence, school, church, business, etc.